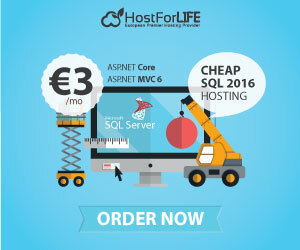 HostingReviewASP.NET | Best, reliable and recommended ASP.NET MVC 6 hosting. Part of the ASP.NET vNext initiative, ASP.NET MVC 6 represents a fundamental change to how Microsoft constructs and deploys web frameworks. The goal is to create a host agnostic framework that eliminates the dependencies on the legacy System.Web infrastructure. MVC 6 is built on a “pay as you go” philosophy. Each feature that you wish to use has to be explicitly turned on in the application startup routine. Even serving up static files requires calling IBuilder.UseStaticFiles. While MVC5 can be hosted in IIS and runs on top of asp.net pipeline, MVC 6 can be self hosted and uses flexible pipeline in which we have complete control over the components that are part of the pipeline. Since MVC 6 is part of the ASP.NET 5, which has been designed for cloud optimized applications, the runtime automatically picks the correct version of the library when our MVC application is deployed to the cloud. MVC 6 includes new environment based configuration system, unlike depending on just the web.config file as in the previous versions. Deploying MVC 5 applications to the cloud requires many configuration changes. MVC 6 applications can be very easily deployed to the cloud because of the environment based configuration system. Our application works with the configuration providers which retreives the value from the different configuration sources like XML file. In MVC 6 dependency injection is supported across all the technologies , WebAPI, MVC and WebPages. A default dependency injection container is provided out of the box which provides minimal functionality and is useful when we require only limited functionality. We can very easily add our own dependency injection container by implementing the IServiceProvider interface. This is the interface that is implemented by the deafult container as well ,so we can replace the default implementation with our own conatiner. MVC 6 supports the OWIN abstraction.So MVC 6 applications consists of composable pipeline in which we have complete control over the various components in the pipeline.